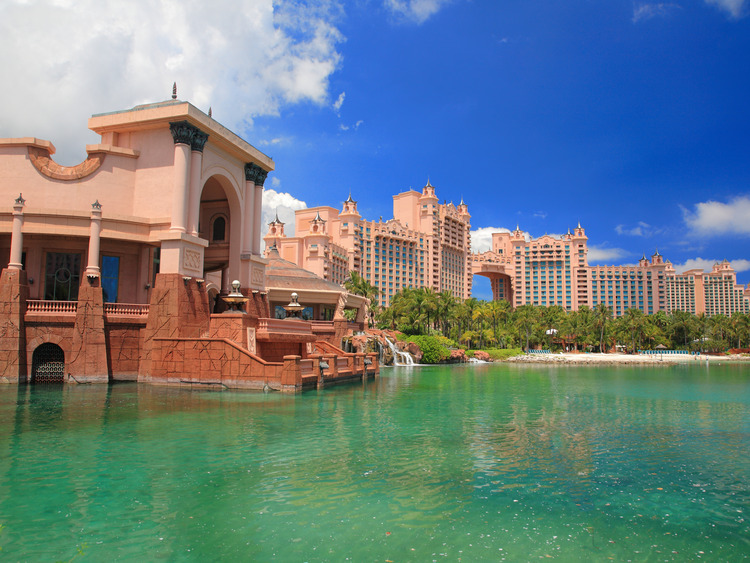 A complete package to make the most of a truly one-of-a-kind opportunity: a whole day within the Atlantis resort, with access to the beach, pools, the waterpark, the aquarium and all the attractions this exclusive place has to offer. A once in a lifetime opportunity. The package provides full access to all the resort's establishments, all we have to do is choose where we want to go. We can begin with the Aquaventure waterpark, a water area of 0.6 square kilometres which includes a six-storey Maya temple with five water slides, a relaxing trip along the river and many more fantastic water activities. We can enjoy ourselves tackling waves and challenging rapids in an authentic tropical setting, diving into eleven pools, attempting the rollercoasters and grappling with*the latest generation water games*. Entertainment guaranteed. The package includes access to the beaches, where we will be provided with a sunbed and a beach towel to experience pure relaxation. We will be able to relax under the hot Caribbean sun, swim in the turquoise waters of the ocean, enjoy lunch in one of the outdoor restaurants (subject to payment), visit the shopping areas or try your luck at the casino. The package includes entry into The Dig aquarium, which offers a unique journey into the myth of the legendary lost city of Atlantide, with partially immersed archaeological sites, where some of the most exotic creatures in the world swim. The Atlantis aquarium, with its 20,000 fish and over 10 million litres of water, is the largest in the Caribbean and one of the largest in the world. The excursion includes access to the beaches, with sun lounger and beach towel, access to the aquarium, the waterpark, the establishment's swimming pools and the slides.